Ok - WHY do I think that Classical Thermodynamics alone without the help of quantum indeterminism is sufficient to destroy the unfounded belief in a deterministic universe? You will need to know a little bit of Physics to become fully persuaded by this line of reasoning. No - I lie. You will need to know a LOT of Physics. But I will endeavour to make it understandable to the lay person who wants to understand at least what this line of reasoning consists of. 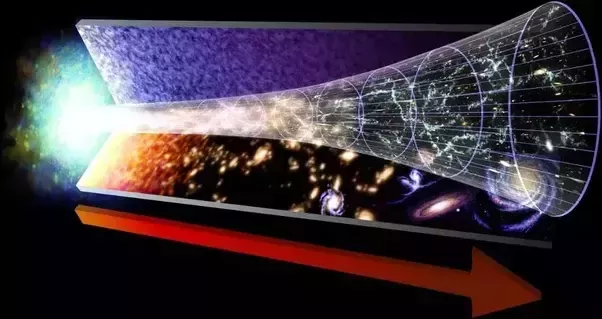 Could the Universe go backwards? Classical Newtonian interactions - nay even Relativistic Newtonian interactions - are time-reversible. Newtonian Mechanics consists essentially of conservation of all momentums for either elastic or inelastic collisions, which includes the famous F=Ma law that expands momentum conservation to account for forces and fields. Running the video backwards of any experiment in which particles interact using Newtonian Mechanics does not produce any violations of Newtonian physics, or specifically the three Laws of Motion that are the foundation of classical physics. Interactions of individual particles in a thermodynamic body, whether solid, liquid, gas, or plasma, are individually Newtonian and hence time-reversible. Individually, you can run each collision backwards without violating any physics. From strictly a Newtonian point of view, all processes in the universe should be totally reversible. This is the very reason, when you think about it, why many people are wedded to the idea of Determinism and feel that all future states of the universe are pre-determined by the initial state. However, Entropy destroys information. This makes Thermodynamic processes basically irreversible. A large collection of particles, each interacting in strictly Newtonian fashion, can only proceed in the forward direction of time without violating basic Thermodynamic physics. Why is this? The reason for this is fundamentally statistical: higher-entropy states are vastly, ridiculously more probable than lower-entropy states simply because there are so vastly many more of them. (Entropy is essentially a statistic which measures the degree to which energy in a system is evenly distributed throughout the system.) The probability is overwhelmingly that in any given transition from one state to another through the cumulative effect of countless Newtonian interactions of countless particles, that transition will be from a relatively rare lower entropy state to a relatively more abundant higher entropy state. Note also that many higher-entropy states are physically indistinguishable from one another. Going backwards even one step is just so ridiculously improbable such that it literally could never happen in the entire lifetime of a universe. So, putting these two concepts of physics together, if we start from some initial state and roll time forward, each collision, each trajectory, each vibration of each particle perfectly obeying reversible Newtonian physics, following the laws of Thermodynamics we inevitably reach states of higher and higher entropy. At some point let us decide to stop the video and run time backwards, supposing we were able to magically do this - say perhaps in a simulation. From that higher entropy state, if we attempt to run the clock backwards and get back to the initial state of the system, we find that the information about that state has been lost - destroyed actually - by Entropy, and we will not be able to find that initial state again. Even if artificially forcing the system into impossibly lower and lower entropy states, what we find is that although we manage to wrangle the system back into some minimum-entropy state, it is not the SAME minimum-entropy state that we started out in. We do not get the initial conditions back again - the initial conditions that were supposedly deterministic of all future states of the system. If you can get to the same or an indistinguishable higher entropy state from any number of initial states, and if the individual interactions are time-reversible, and by reversing time we do not get back to the one initial state because the information about that state has been erased by entropy, then that means that either initial states of thermodynamic systems are NOT deterministic of all future states, or that Thermodynamics is wrong. And Thermodynamics is demonstrably not wrong. The N-Body System is ultimately chaotic and any given future state is in no way inevitable whether by initial-state ambiguity or by non-inevitable system perturbations. By what means? Perhaps ultimately by the stochastic Gravitational Wave noise from the Big Bang itself that permeates the universe. Any infinitesimal perturbation of a chaotic system is all it takes to tip it into a wildly divergent state trajectory over time. Thermodynamic systems are never Deterministic on a microscopic scale because initial-state information is erased by Entropy and is thereafter irrelevant and non-determining of subsequent states. Finally, at the Quantum level Determinism doesn't stand a chance; even Causality has issues and must be regarded as at best an emergent property of more complex, large-scale physics. The initial state of the universe at the Big Bang cannot be understood without Quantum Physics plus some other stuff we don't even know about yet, meaning that the initial state itself must have been ambiguous and undetermined, and subsequent states were random rather than causal consequences of that state. In the end, Determinism from Physics is a purely speculative nonsense concept and is not a real feature of this universe. Do Not base anything you think, including any conclusions about Free Will, on the nonexistent error known as Determinism. Nothing is inevitable here except perhaps Entropy.